In a recent article published by the World Gold Council (WGC) Roland Wang, Managing Director of China for the WGC and Daofu Chen, Vice Director-General for the Finance Research Institute of the Development Research Center of the State Council in China, answer some questions about China’s gold market and the opportunities it has for further development. According to the piece, China has become the largest gold producer and consumer in the world in the past two decades. According to Wang, the WGC’s main aim is to work with government bodies, regulators and market practitioners so they can “develop China’s gold market on a long-term, sustainable basis”. As for the biggest challenges facing China’s gold market, Chen says there are three main ones: first, China’s investor base is too narrow as “current regulations prevent long-term asset owners, such as pension funds and insurance companies, from investing in gold”. Second, China’s market infrastructure needs to change. According to Chen, retails traders dominate the SHFE (Shanghai Futures Exchange) and SGE (Shanghai Gold Exchange), so both exchanges “need to think about how best to attract new investors”. These new investors, he says, should include domestic institutional investors and overseas market participants, and both exchanges should “tailor products, services and their value proposition accordingly”. The third challenge is China’s regulatory environment, as “fraudulent online providers have scammed many individual gold investors, offering products underpinned by illegal, unregulated gold trading”. Regulations, therefore, should be enforced. A report written by the Development Research Center of the State Council (DRC), recommends three courses of action to dealing with the challenges above. Shortly, these are: first, a more robust regulatory and standard-setting framework to raise standards across the supply chain; second, regulations should be amended to allow institutional investors to invest in gold; and finally, China’s gold market infrastructure should be reinforced “by understanding the needs and requirements of domestic institutional investors”. 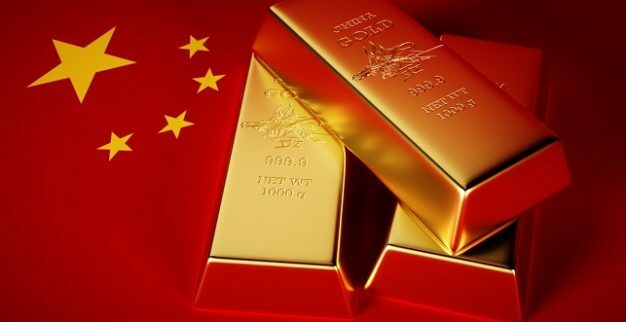 As for the development of China’s gold market over the next five to ten years, Chen says that in his opinion, “China will take a leadership role in global financial and gold markets”. The market will become more open, especially for domestic institutional investors, and Chinese companies will continue to develop innovative products such as microchips, smartphones and electric vehicles, all of which contain gold. Overall, he concludes, the outlook is bright.